Enhance your undergraduate degree by adding a minor in business analytics. The business analytics minor will add value to any undergraduate business major and is designed to have broad appeal for employers, providing an edge in today’s competitive job market. Students completing the minor will develop their critical thinking skills and learn how to analyze data in order to develop solutions to specific business problems. The methods and tools introduced in the business analytics coursework are applicable in any industry for which interpreting and applying data are critical. 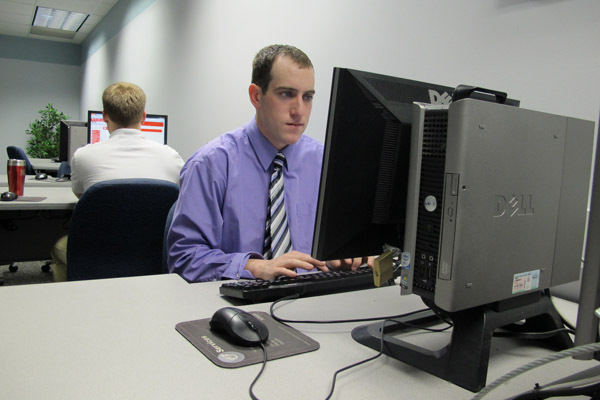 The business analytics minor is open to any undergraduate business student. There is a growing demand from employers for employees with experience in managing and analyzing data, and the ability to use business data to make decisions and predictions that will add value to the organization. Big data and new computing technologies will continue to transform all aspects of business. The business analytics minor is focused on preparing students to be successful in this dynamic environment. Students completing the minor will prepared to work collaboratively with information technology and statistical specialists to collect, maintain, and analyze data in support of business decision-making. The business analytics minor is the perfect complement to any undergraduate business major, and can serve as a key differentiator on the job market. Understanding how to process and analyze data provides a strong foundation for future academic endeavors. The business analytics minor is a 12 hour program. SCMA350 or MRKT350 (a required College of Business core course) is a prerequisite to taking all of the SCMA or MRKT courses listed below. *	No students may double count any courses. Thus, accounting students cannot count ACCT308 Managerial Accounting or ACCT309 Accounting Systems toward the business analytics minor, nor can supply chain management students count SCMA335 Supply Chain Decision Making Models or SCMA 437 Supply Chain Risk Management (if it is included in their supply chain management major). Marketing students cannot count MRKT 355 Marketing Metrics towards the business analytics minor if it is used in their marketing major.